This is the little church that could. 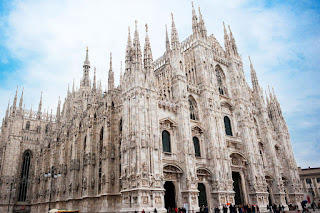 You know the enormous cathedral of Milan, the Duomo, right in the center of town? Well this Little Church That Could is the anti-Duomo. 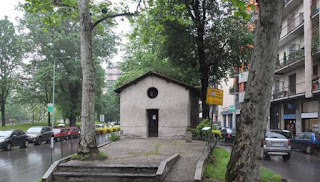 It is the smallest church in Milan, it is obscure, it is poor, it is plain, it has a terrible location and it is usually locked. It is also adorable. Its story is irresistibly appealing. The Oratorio has been around for about a thousand years and was originally in the countryside around Milan. The city grew and grew, and in the twentieth century the Lorenteggio-Giambellino area went from being rural to being a part of Milan, with its own subway stop. My mother's youngest sister used to live there back in the Sixties, in a high-rise. So why is it The Little Church That Could? It survived intact through the centuries. While other churches, farmhouses, and gardens were destroyed, The Little Church heroically avoided demolition, and now occupies the median strip of Via Lorenteggio. A group of local citizens strenuously opposed its razing. Yes, its tiny millennial self sits right there in the middle of Milan traffic. 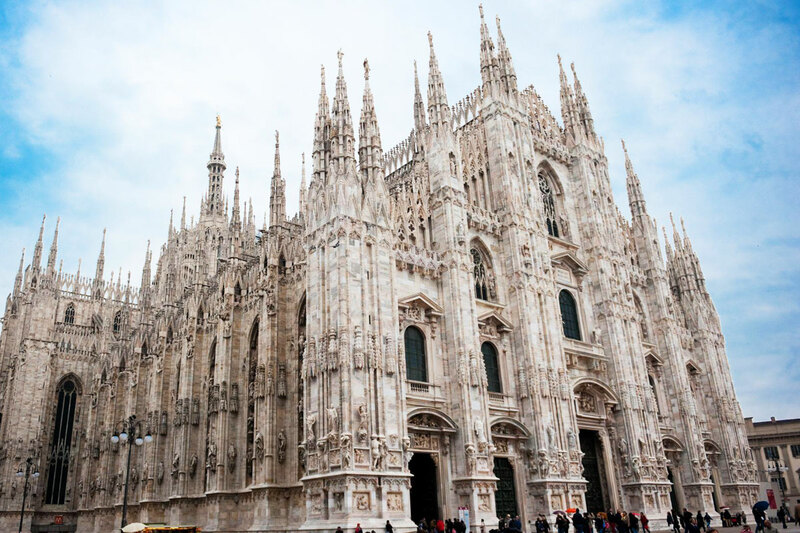 Personally, I think it speaks of spirituality more than the Duomo. It wouldn't be The Little Church That Could without its very own website (in Italian.) Check it out here- it includes pictures of the fine artworks in the interior. The Little Church (did I mention that it was adorable?) is usually not open to the public, but is used from time to time for special events. Also see this excellent Flickr album, lovingly created by one of the many admirers of the Oratorio.